D-Wave's hardware has always occupied a unique space on the computing landscape. It's a general-purpose computer that relies on quantum mechanical effects to perform calculations. 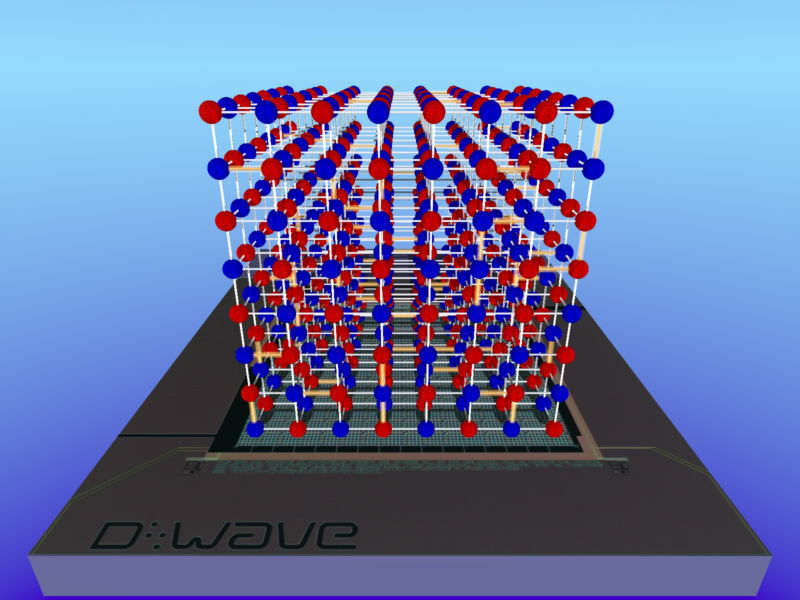 And, while other quantum-computer makers have struggled to put more than a few dozen qubits together, D-Wave's systems have already scaled to more than 2,000 addressable bits. But the D-Wave systems don't perform calculations in the same way and, despite all those bits, haven't clearly demonstrated performance that can outpace even traditional computing hardware. But D-Wave has come out with a research paper in Science that suggests that the system can do interesting things even in its current state. The company's researchers have set it loose modeling a quantum system that closely resembles the bits used in the hardware itself, allowing them to examine quantum phase transitions. While this still isn't cutting-edge performance, it does allow researchers full control over the physical parameters of a relevant quantum system as it undergoes phase changes. D-Wave's systems can be thought of as a large collection of magnets, each of which can flip orientations. These aren't qubits in the same way that the components of IBM or Intel's quantum processors are, but they do rely on quantum behavior for performing calculations. On their own, there's nothing that favors one orientation over another. But put a second magnet nearby and the two influence each other; now, if one flips its orientation, it changes the energy content of the system. D-Wave's current system scales this up to 2,048 individual magnets, along with associated control hardware that determines which of these magnets is connected and how strong that connection is.